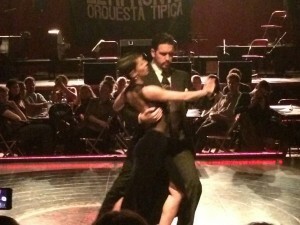 Visit the unique tango salons of Buenos Aires (a.k.a. milongas) that local dancers frequent, with your own personal tango tour guide. Optional private tango lessons available. 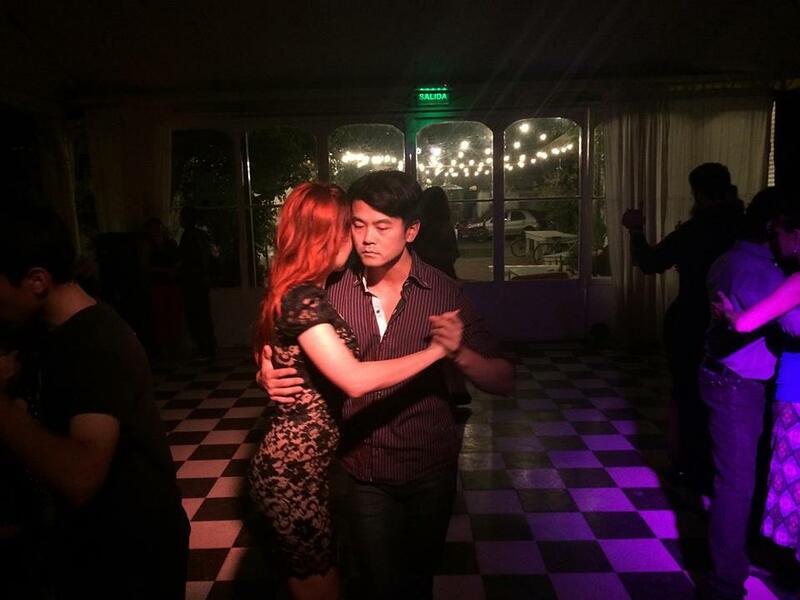 Do you want to learn about Argentine tango while visiting the authentic tango salons of Buenos Aires, without participating in the dancing? Then sign up for the Tango “See” Tour! Of course, if you change your mind and decide to give the dance a try on the night, we’ll be here to help. 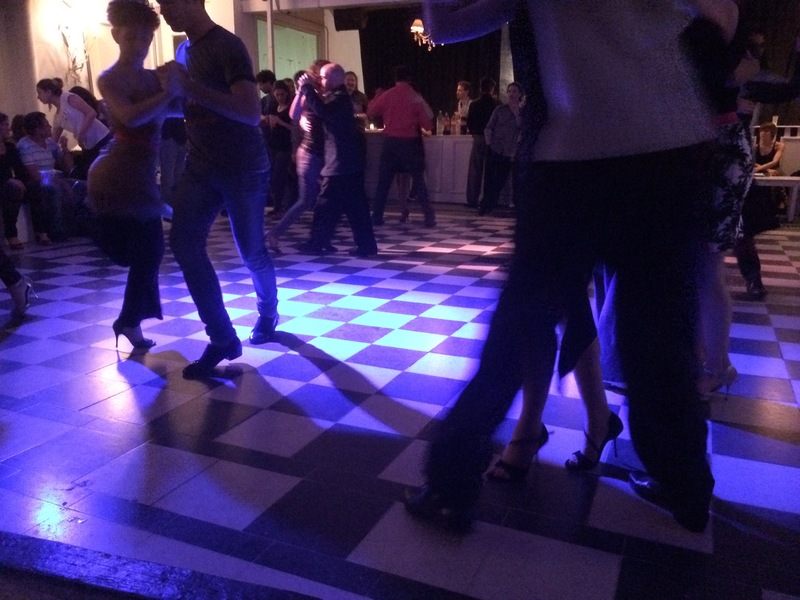 Relax and take in the ambience at local tango gatherings, whilst cracking the mystery of milonga etiquette and gaining a fascinating insight into the unique world of Argentine tango. Itching to get actively involved with the Buenos Aires tango scene? Perhaps you’d like a dance class before the tour, to then try out your new moves later on? Or maybe you already know how to tango but want an insider’s intro on when and where to dance? We’ve got it covered! Book the Tango “Do” Tour and you’ll get a similar experience to the “See” version, but with the chance to hit the dance floor yourself. 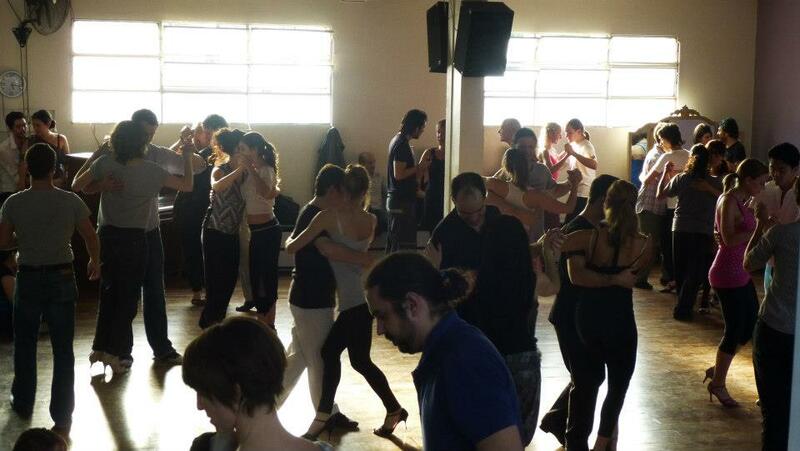 Enjoy the atmosphere of the milonga scene by becoming a part of it! Take a tango lesson to start (optional extra at additional cost), then step onto the dance floor. 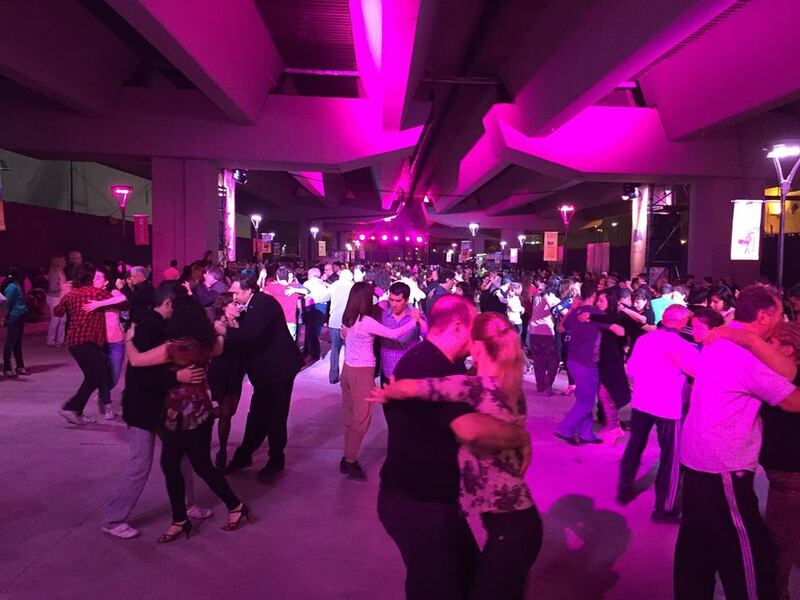 We will provide you with essential information about Argentine tango at each venue. This depends completely on the date, as different milongas occur on each day, and the schedules change frequently. When booking you can let us know the dates you have available for the tour and the time window you would be willing to do the tour within. We will then suggest a plan, or options for you to choose from, and then we can work together to set your tour timing. The earliest a tour could start is at around 6pm (on some days), and the latest it could end is at 3am. This is not to say the tour is that long! It just will happen at some point within that time window. If you are able to start at 9pm or later, then you will be more likely to see the tango scene at its best. But we will still do what we can to provide a great experience if you need to do an earlier tour. We will meet you at your accommodation to accompany you to the tour start, usually by taxi, or for most larger groups, MPV/people carrier or minivan. The cost of any transport needed at the start and end of the tour, and between the two venues, is already INCLUDED in the total price. If any of these journeys are a short & safe walk then your guide would instead accompany you on foot. Unless you book an extended tour, you get approximately 3 hours with your guide from the time you are picked up at your accommodation. When factoring in the transport at the start and end, your total time service time will be approximately 3 hours (and occasionally longer, if you are staying far from the venues). Traveling to Buenos Aires on your own? 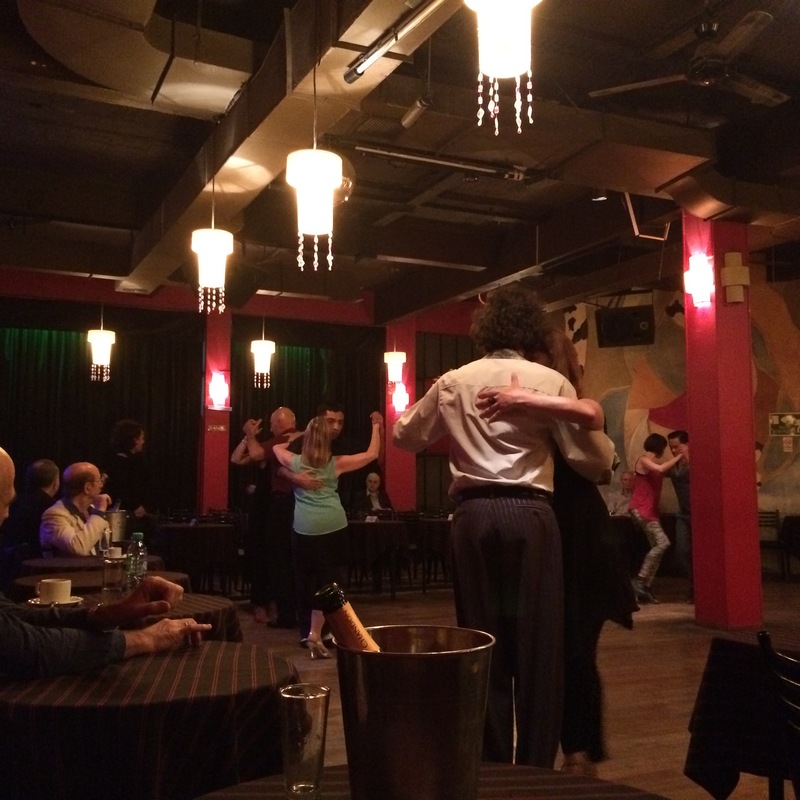 Taking this tour on your own is a great personal experience, with your own tango guide just to yourself, helping you feel a part of the local tango scene. Please ask us about rates for private groups of 7 people or more. And see our FAQ for a price list of optional tour add-ons, such as tango classes. – Accompanied transport from your accommodation to the tour and back to your accommodation at the end of the evening. – Your private guide will acquaint you with the venues, provide you with essential information to enhance the experience, and answer your questions. 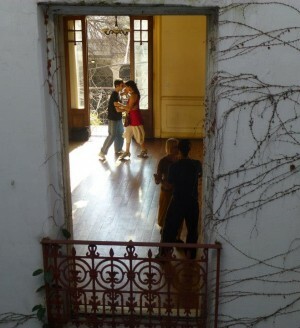 TangoTrips was created by married couple: Liz, an avid tango dancer living in Buenos Aires, and Alan, owner of one of the most popular private tour companies in the city. They saw the main ways that visitors could enjoy tango. 1. A big dinner-show production, with fantastic dancing but far from the real world of local tango. 2. Going to an authentic tango salon alone, but with no real idea of when & where to go, or exactly what is happening & why. 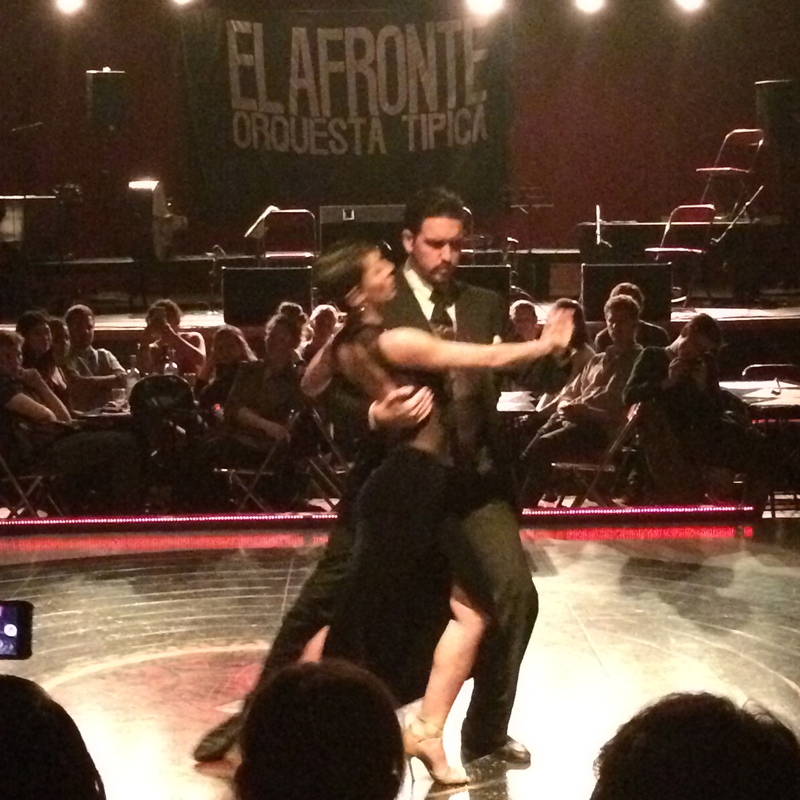 And so, the solution, TangoTrips was born: a way for visitors to experience Argentine tango in its natural habitat. 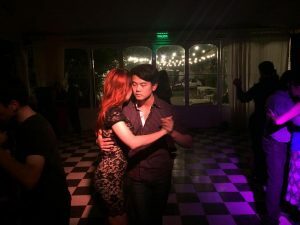 Take a milonga tour with TangoTrips and you’ll discover the insider’s tango scene, and gain an understanding of the culture surrounding the dance that is integral to Argentina and its history. 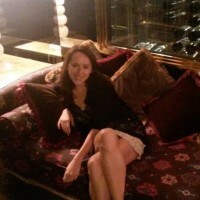 Liz has lived all over the world but currently resides in Buenos Aires and is originally from the state of Maine. She took her first tango lesson in Buenos Aires aged 17, while attending high school in Argentina. Tango has been a part of her life ever since. 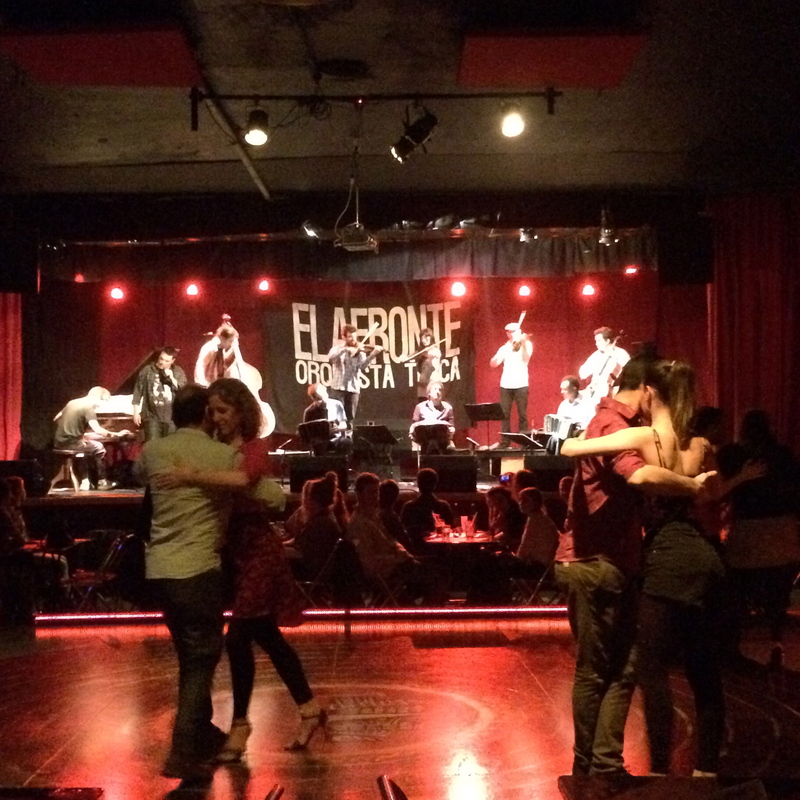 Liz has spent many years in Buenos Aires developing a deeper understanding of the city and the subculture of tango that characterizes it so well. She loves to share her passion for Buenos Aires and tango with as many visitors to the city as she can. Alan is originally from the south of England, but has lived in various places around the world, including many years in Buenos Aires. 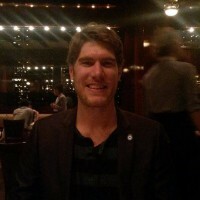 He is the founder of the top private walking tour company in the city (as rated by TripAdvisor – see recently awarded “Hall of Fame” certificate to the right), BuenosTours, and is also involved in other tourism projects in the region. With his 10 years of experience of providing great tours to visitors to Buenos Aires, you can be sure that TangoTrips will also maintain the same standards of excellence. – The undivided attention of your own bilingual (English/Spanish) private tango tour guide for the duration of the tour (it is a private tour, so only the people you book for will be on it). – Private transport from your accommodation to the tour and any private transport needed during the tour between venues, as well as accompanied transport back to your accommodation. – Your private guide will acquaint you with the venues, provide you with essential information to enhance the experience, and answer all your questions. – The opportunity to ask for our expert advice, with ANY questions you might have about tango in Buenos Aires before and after you take the tour, via email. – The cost of any drinks or food you consume during the tour beyond the one beverage we cover per person (our guides are of course happy to pay for whatever they consume during the tour). 3. What are the prices for tour add-ons such as tango classes? – An approx. 1 hour private tango dance class (in your language) before your milonga tour will cost US$60 extra for 1 to 3 people (total additional cost, not per person) . Please inquire for larger groups. The cost includes any additional private transport needed as a result of including the dance class. – There is the possibility that the tango class could be earlier in the day, with a break after it, before your milonga tour starts. However if you wish to have no break between the class and the tour we can try to arrange that for you. 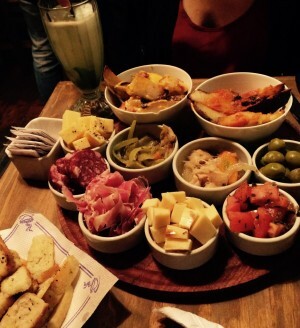 – A casual restaurant dinner with your guide during your milonga tour will cost US$30 extra for one person, or US$50 extra for two people, or US$65 extra for 3 people. Please inquire for larger groups. The cost includes any additional private transport needed as a result of including the dinner. It will lengthen the total tour service time by approximately 1 hour. – Please inquire for pricing for tango “taxi dancers” to dance with you exclusively during the “Do” Tango tour. 4. Where do the tours start? 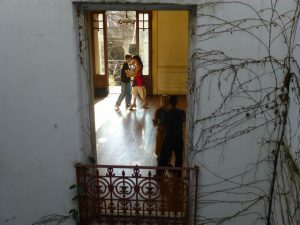 – Unless you specifically request otherwise, the tours begin with one of our guides (or another representative) meeting you in your hotel lobby (or other accommodation within the city of Buenos Aires) at the agreed start time to accompany you to the start of the tango tour, by taxi, other form of private transport, or if nearby, on foot. The cost of any transport needed for this journey is included in the price of the tour. – If you are staying on a cruise ship, we can meet you in the cruise port terminal, near the information desk (we send full details on confirmation of your tour), again to be accompanied to the start of the tango tour (again, the cost of any transport needed for this journey is already included in the price of the tour). 5. What happens at the end of the tour? – At the end of the tour, we will provide private transport back to your accommodation in the city of Buenos Aires (or the cruise port, if applicable). 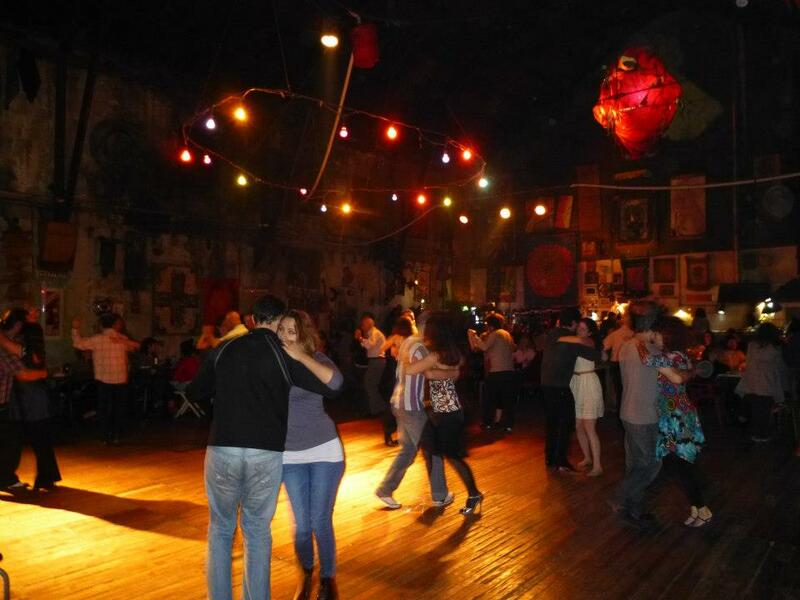 – Or, you might instead decide at the end of the tour that you wish to stay longer at the milonga without your guide (the dancing will often go on until the early hours of the morning), in which case you would then need to find and pay for any taxi etc when you decide to return. 6. What is the policy/price for children taking the tour? – Children are welcome on the tour, however it is not recommended for kids under the age of 10, and usually we would not expect a child of any age to have a fantastic time at a milonga. It is up to you of course, but we feel we should make it clear that locals would not normally bring children to a milonga, and in some cases, at more traditional venues, they may not be welcome. – That said, if you do have children that you wish to join you for the tour, we would aim to find venues that would be most appropriate for them. – Due to our per-person costs involved for the tour (private transport, venue entry fees, drink prices etc) remaining the same whatever the age of the client, all children should be counted the same as adults when considering the group size price band for your tour. 7. Do you accept other forms/methods of payment apart from full payment online? – Yes. You can also pay a small deposit online to reserve the tour, followed by the remainder in cash (US Dollars) to your guide at the start of the tour. Or we can arrange for us to call you at an agreed time so that we can charge your credit or debit card over the phone, to pay a deposit or the cost in full. Please mention to us before booking if you wish to pay by one of these alternative methods. – That said, no tour can be fully confirmed as booked unless we have received at least a deposit in advance of the tour. 8. How many people are typically on your tours? – We only offer completely private tours, so only the people you book for will be on the tour. If you are alone, it will just be you and your guide. If you are a couple, just the two of you and your guide, and so on. We believe this is the best type of tour, so that it can be personalised to you and allow you to have the full attention of your guide for the duration of the tour. 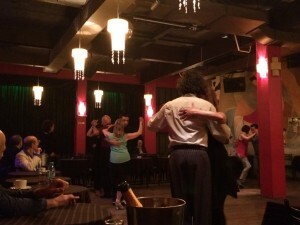 – To ensure this high quality experience on all tours, and to avoid stepping on any toes in the local tango scene, the maximum size of groups we usually accept is 6 people, although if you are a larger group, please do contact us to see what your options are – on some dates and times there will places that will work for a larger group. 9. Do you offer other tango-related services? – A tango dinner-show at our favorite venue, at a discounted rate (this can be with or without dinner, but if you decide on dinner you can also take advantage of a complimentary beginners tango dance class beforehand). – Group tango dance classes, with either a bilingual (English/Spanish) teacher, or a Spanish-speaking teacher with one of our guides there to help translate for you. – Private tango dance classes, the best way to learn and improve. – Tango “taxi dancers” – hiring someone who will dance with just you at milongas for the night (can be hired for a period of 2 hours and up). 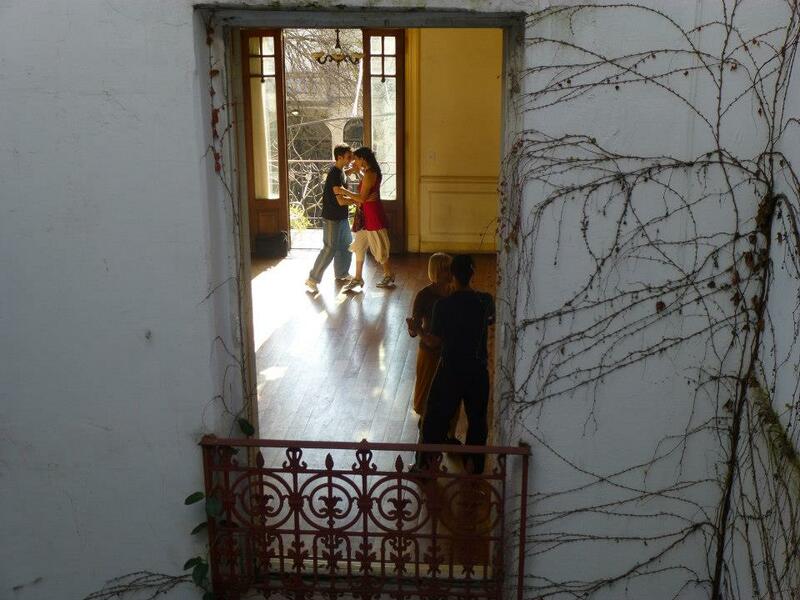 – Historical/Cultural daytime private tango tours – see traditional tango neighborhoods like La Boca, San Telmo & Abasto up close and personal on a private walking tour that will key you in on the genesis and history of tango in Buenos Aires. 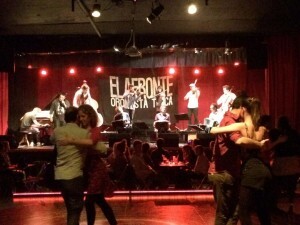 Different tour times/lengths are available, and can even be combined with our milonga tour, and/or other tango services, to create your very own “Day of Tango” in Buenos Aires. 10. Can I join another person/group’s tour? Can I do the tour on my own? – You cannot join another person/group’s tour. We only offer and advertise private tours, and the majority of our clients book with us for this very reason, so we are unable to add additional people to their tours. We also believe that a completely private tour is by far the best way to discover a new city. 11. What happens if I book a tour, but then decide to cancel it? – Once you have booked your private milonga tour, if you then decide to cancel with more than 1 week’s notice, or if it can not take place for reasons outside of our control (force majeure), you will NOT be charged for the tour and you will receive a full refund. – However, if you cancel with less than 1 week’s notice or “no show”, you will be charged for 20% of the tour cost (we will refund 80% of the cost of the tour, assuming you paid in full ahead of time). – The only exceptions are for those arriving into the city on the day of the tour by plane or cruise ship . If your flight or ship is delayed or cancelled and it means you have to cancel your tour, we will give a full refund IF you are able to let your tour guide know at least one hour before the arranged tour start time. – If you are a little late for the tour, then your guide/transport will of course wait for you and continue the tour as normal. Your guide will try to still give you the full tour, however this may not always be possible if they have another tour or personal commitment etc scheduled after your tour, or if the timings at the venues no longer work out. If you are more than half an hour late, then it may not make sense to go ahead with the tour as planned, and instead we may try to rearrange, or cancel (with an 80% refund). – In all cases of lateness (and even in the VERY rare case that it appears your guide/transport is late), please call your tour guide or driver as soon as possible to let them know, especially as they may need to contact any other arrangements they have made for you to advise of the delay. 13. Is it necessary to bring anything to the tour? – If you have booked a “Do” Tango tour, then you will need to bring a pair of shoes to dance tango in at the milonga, in addition to the shoes you will wear on the street/in the transport during the tour. This is a strict rule at many milongas and not something we can negotiate. – On a “Do” Tango tour (and/or if your tour includes a dance class), regarding the shoes you will dance in: you will need to bring shoes with a smooth sole and very little traction. This is so that your feet can glide across the floor easily. You don’t need to buy tango shoes but making sure the bottom of the shoe is smooth is helpful. 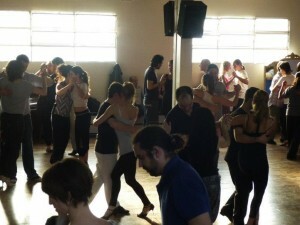 – You should also probably bring some cash in Argentine Pesos, in case you wish to buy additional drinks or food at the venues beyond the one drink per person provided, and also in case you decide to stay at the milonga beyond the end of the tour, in which case you would need to pay for your own transport back to your accommodation. – You may also want to bring some US Dollars cash on the tour, as they are accepted in most places, often at a very good rate – or perhaps your guide could even change some for you (but let us know in advance if you want to be sure of being able to change money with your guide). – A debit/credit card could be brought as a backup for paying for anything, but we don’t recommend that as you’ll lose out on the rate, and not everywhere/one here accepts plastic (taxi drivers being the main case – they accept cash only). 14. Is there a dress-code for the tour? – Please feel free to check when booking your tour, as perhaps depending on where we plan to take you our advice on what you might wear will change, or in some more bohemian places, almost anything goes! 15. Do you offer tours all year round? – Yes, we offer our milonga tours almost every day of a year, except for some holidays such as Christmas Eve, Christmas Day, New Year’s Eve, New Year’s Day, plus a few other holidays through the year – please feel free to inquire if in any doubt. – Tour availability is on the assumption that we have guide availability left for you (please book in advance to avoid disappointment, especially for high season, from October to April). 16. Can I schedule a tour at any time of day/night? – No, the possible timings for the tour are dependent on the date you wish to book for, as different milongas occur on each day, and the schedules change frequently. When booking you can let us know the dates you have available for the tour and the time window you would be willing to do the tour within. We will then suggest a plan, or options for you to choose from, and then we can work together to set your tour timing. – The earliest a tour could start is at around 4pm (on some days), and the latest it could end is at 2am. This is not to say the tour is that long! It just will happen at some point within that time window. – If you are able to tour later, then you will be more likely to see the tango scene at its best. But we will still do what we can to provide a great experience if you need to do an earlier tour. – At present we can offer tours in English, Spanish, or French. English is with a native English speaker, whereas in Spanish or French it would be in the guide’s 2nd/3rd language (but still fluent). Want to learn more? Why not visit our blog?